ST. PETERSBURG, Fla. (April 4, 2019) -- It's hard to believe, but the 2019 USL Championship season is already a month old. Ten teams remain unbeaten, six of which are in the Eastern Conference. Here are a few of the biggest matches of the weekend. 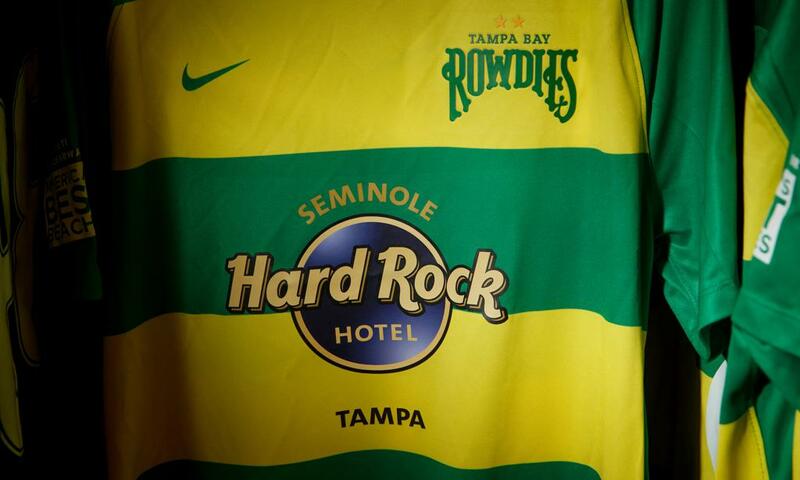 The Rowdies are still unbeaten but have drawn back-to-back matches primarily due to a lack of goalscoring at the moment. Tampa Bay will look to rectify that in the second match of a three-game homestand. Hartford is considerably better than its record suggests. Hartford has played four matches and lost all four, but the team has been competitive in every match and has a goal difference of -5, just about as good as it gets with four losses on the record. Ottawa hasn't played since March 16, an unusual circumstance heading into its home opener. The Fury FC is unbeaten, but with the fewest matches of any team in the league. Nashville is midtable in the East with four points from three matches. The team had last weekend off, so rust could be an issue for both teams. The two-time defending champions look well off their best form, with two losses in four matches to start the season. Louisville lost 3-2 at home to Birmingham Legion FC on Sunday morning after a weather delay postponed the match from Saturday night. Pittsburgh is looking to close its four-game road trip with its first win of the season. Since losing to the Rowdies on March 16, the Riverhounds have drawn matches at Swope Park and Bethlehem. Atlanta has looked far more competitive in 2019 than it did in its inaugural year last season. Atlanta is coming off a bye week to prepare for the top team in the East. Saint Louis FC's only dropped points this season came against the Rowdies. Saint Louis has only conceded two goals in four matches this year.